In 2003, Joe W. Moody, a pastor for over 45 years resigned his "safety zone" ministry and launched out to make a global impact — especially on that part of the world known as the 10/40 Window. Two-thirds of earth's population of 7 billion people live here and little is being done to make the gospel accessible. 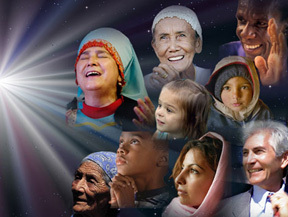 Light The Window Ministries (LTW) is the missions organization Moody started in 2007 which is dedicated to getting God's Word in written and audio form to the unreached people groups of the 10/40 Window. More than 6,000 unreached people groups (UPG’s) have very little or absolutely no access to the good news of Jesus Christ found in the Bible! These cultures have a combined aggregate population approaching 3 billion people and more than 85% live in the 1040 Window. The vast majority of these people groups are also in countries that are “closed” to missionaries, dominated by poverty, false religious systems, illiteracy, and openly hostile to the preaching of the gospel by outsiders. Does the Great Commission obligate our generation to take the gospel to these UPGs? Is it even possible to reach them using “traditional” approaches, “inside-the-box” thinking, and old methods? Actually, fulfilling of the Great Commission is now easier than at any other time in history, even with the rapidly growing population explosion (now over7 billion). Can we reach the world in our life time? With the many thousands of Christians and local churches in the western world, it is not a big stretch to realize that we can plant a gospel witness in every UPG in our life time. As believers are won among these people, they will in turn spread the gospel to their community and to other neighboring UPG’s. In the U.S. alone, there are more than 30 local churches to every UPG in the world! Alliances of local churches are banding together to reach unreached people groups. Light the Window is part of an alliance of local churches and mission organizations that has penetrated the Maithili people group of northern India, Nepal, and Bangladesh by training national church planters. 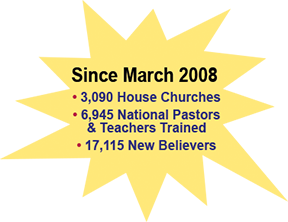 Since March of 2008 the Maithili Alliance has trained over 6,945 national church planters and pastors, over 3,090 house churches gave been formed and more than 17,115 new believers have come to Christ! The availability of radio is worldwide and most people in the 10/40 Window use radio as "their window" to the rest of the world. There are 1.5 billion shortwave radios world-wide and over 1 billion listeners around the globe. Shortwave radio is nearly 4 times more prevalent than internet use. Worldwide it has a larger listening audience than all US radio stations simultaneously. People show an intrinsic interest in new technological devices such as the solar-powered Bible. It has been received with open arms in these countries, many of which have no dependable electricity. Presently, surveys show that one solar-powered Bible is listened to hundreds of times in a year. Very few people in foreign cultures listen alone. Usually it is multiple listeners, a whole family, and in many cases groups of people listening together. Cell phone usage is probably the most rapidly spreading technology of our time, and the use of Micro SD Cards, loaded with Scripture, audio tracts, and other Gospel material in the heart languages of UPG’s is a strategic way to reach out. By using available and ever-developing technologies, such as those mentioned above, the Gospel can go to every unreached people group. That is why one of the core principles of Light The Window is — Using technology to maximize the way we do missions!